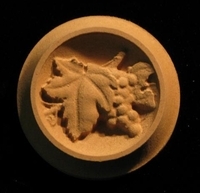 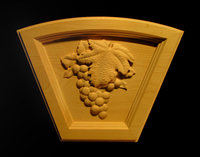 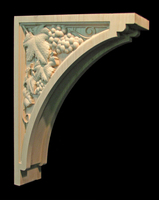 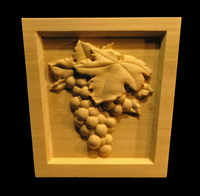 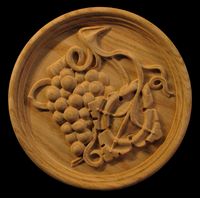 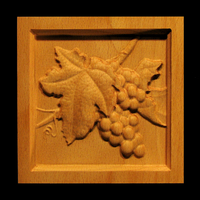 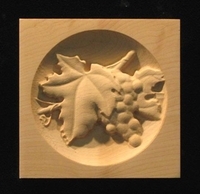 #RS-GRP: A rosette featuring wine grapes shown in mdf. 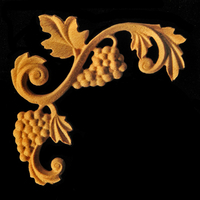 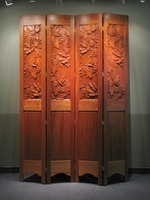 The rosette can be sized to your requirement large or small. 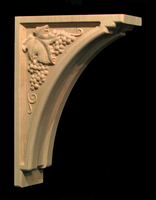 #: A deep Grapes Bracket, 30T x 16D x 2.5W perfect for that large countertop undermount.